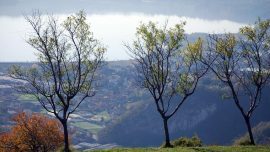 Piani d’Erna: an extraordinary panoramic terrace on Lecco, Lake Como and the surrounding mountains. Easy reachable by cable car in just 5 minutes. 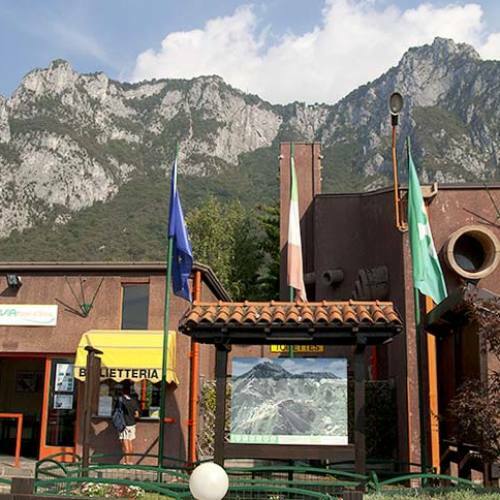 You cannot visit Lecco without visiting Piani d’Erna and enjoy an extraordinary view of Lecco, Lake Como and all the surrounding mountains. On foot or by cable car, it’s just up to you the way you prefer to reach the top of the mountain..
From the cable car square take the path on the right of the building. 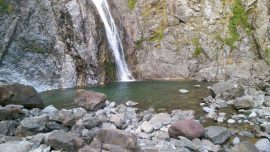 After a few minutes you reach the road coming from Versasio. 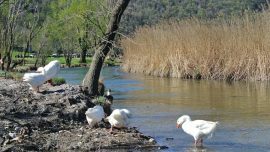 Go on along and proceed until you reach a barrier then proceed in the woods and continue ignoring the path you find on the right signing Campo de’ Boi. 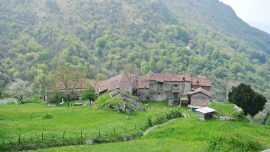 Go on along the mule track until you reach a niche depicting the Holy Vergin Mary which welcomes you in the village of Costa (786m).Walk on and turn left . 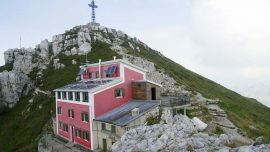 You see the Chapel of Our Lady of Resegone, dedicated to the fallen on Resegone mountain. 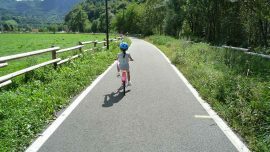 Go on and after a curve to the right you are in front of Refuge Stoppani (890m, 45min). To reach Piani d’Erna it takes another walking hour.From here take path n.1 going to Piano del Fieno (1167 m – 30 min) ignoring the path on the right signing for Passo del Fo. leave on your right the paths to Resegone.As soon as you reach the valley rise until you reach Bocca d’Erna (1291m) on the ridge running from Pizzo Morterone (1747m) – the eastern top of Resegone – to Pizzo d’Erna. From Bocca d’Erna rise on the left along the road in the direction of Erna’s cable car.The destination is close when you see a cross. Ok, now… stop, relax and enjoy the extraordinary panorama in front of you. 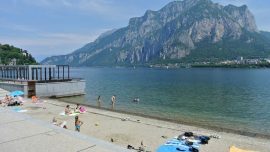 Admire the beautiful landscapes of Lake Lecco and its surrounding mountains.Now you have several opportunities to spend your time at Piani d’Erna. 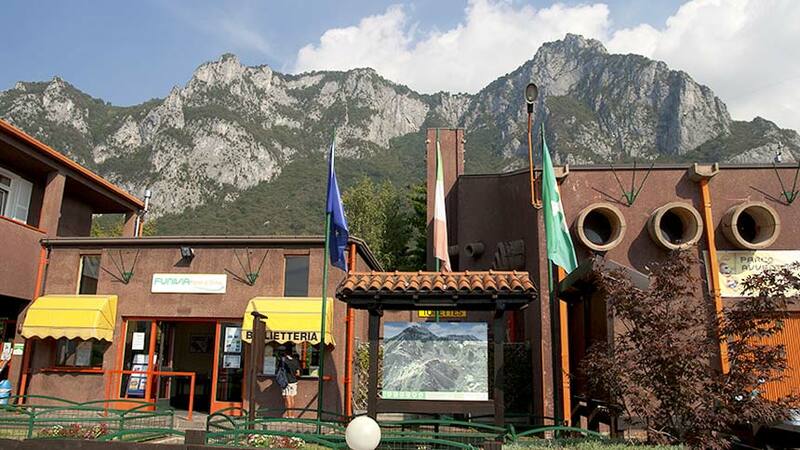 You find signs for Rifugio Marchetti and Parco Avventura (Adventure Park). 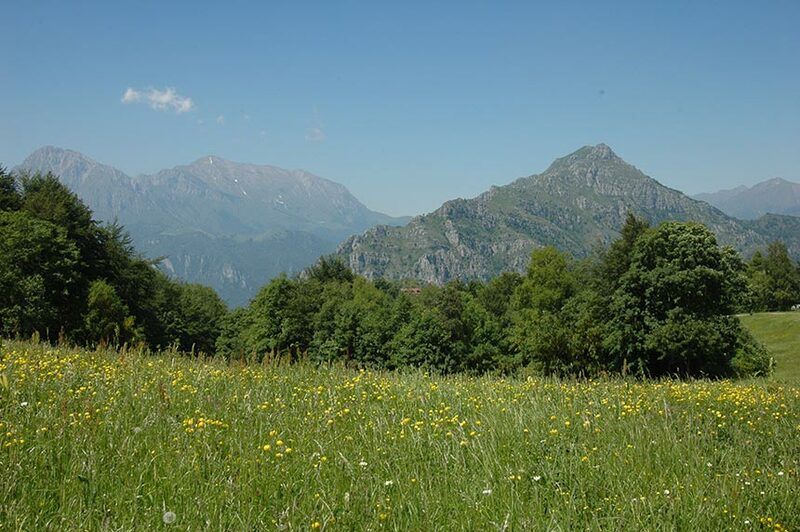 You can stay on the grass and relax or keep on going walking discovering Piani d’Erna and its beautiful nature. Now.. It’s up to you how to experience Piani d’Erna.To come back down you can do the same itinerary or take the cable car.